This letter to an author shares a 2nd grader's feelings about a book. My name is Kyla. I really like your Arthur books. When I read Arthur Writes a Story I really liked it. Do you have a puppy? P.S. I like to draw Arthur. 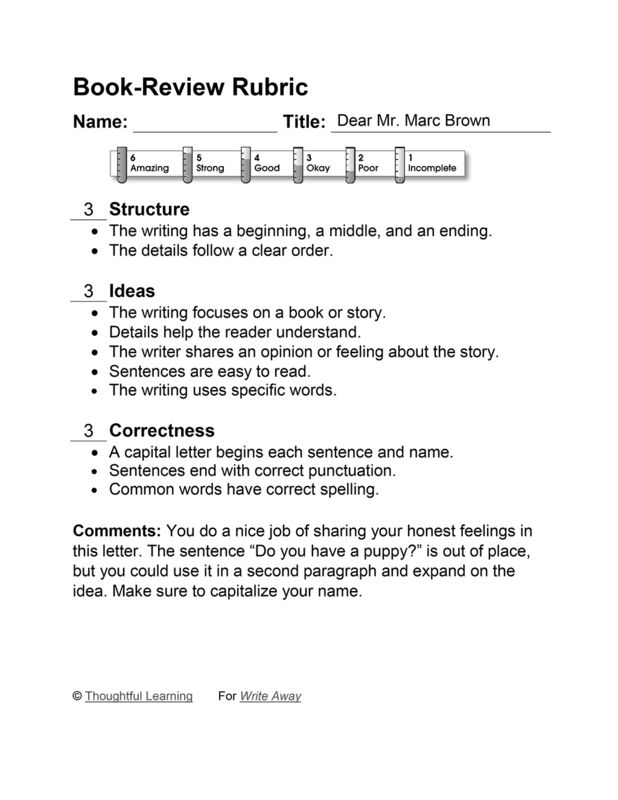 Dear Mr. Marc Brown by Thoughtful Learning is licensed under a Creative Commons Attribution-NonCommercial-ShareAlike 4.0 International License. Based on a work at k12.thoughtfullearning.com/assessmentmodels/dear-mr-marc-brown.